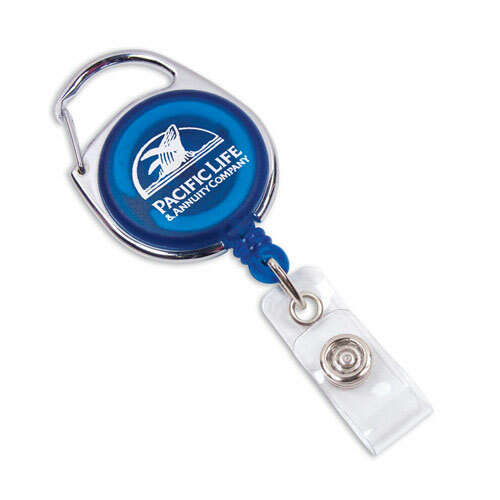 • An Oval badge holder with carabiner clip. • Approximately 24 inches of retractable cord. • Use as badgeholder or keyholder. 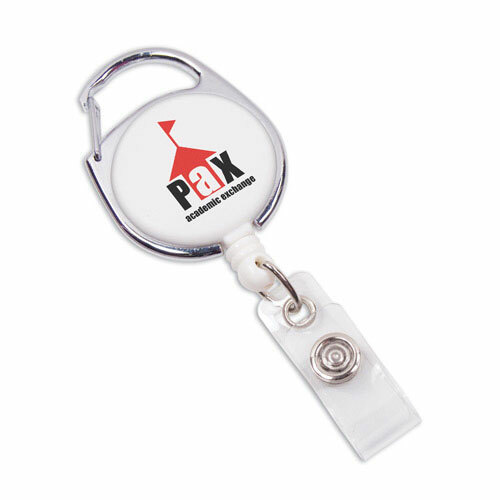 Take your brand name on an "odyssey" of promotional success starting with your next event! 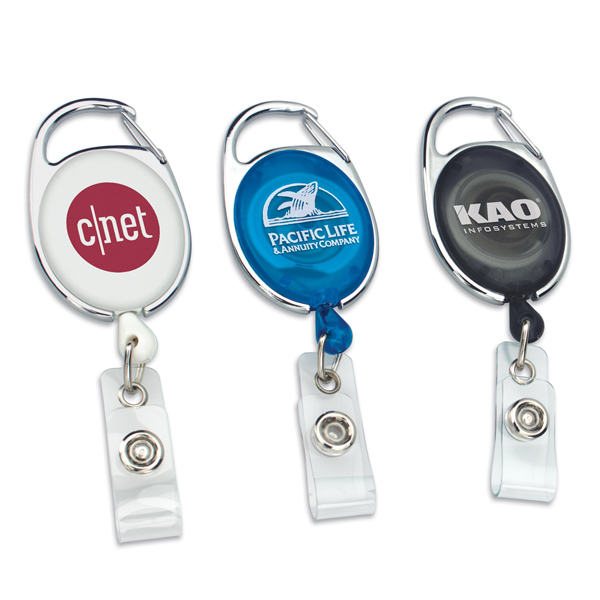 Our Odyssey Carabiner Retractable Badge Holder is a good choice for a promo product with a potentially big market. 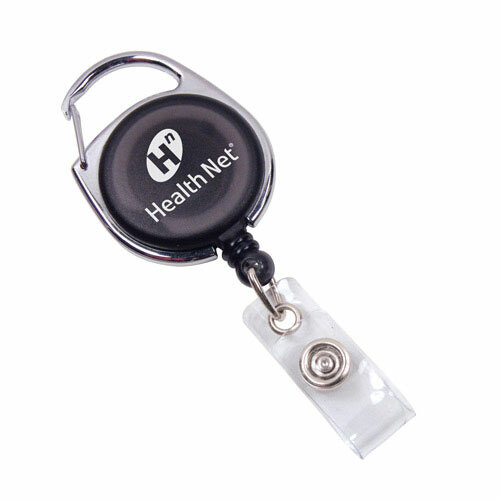 At 1-3/8" x 3-3/4" x 1/4", this holder attaches to a belt loop, purse strap or backpack and features a 29" retractable nylon cord. Ideal for schools and hospitals, this item offers pad print or silkscreen imprint options to complete the promo. Bulk / 15 lbs / 372 pcs. / 15x10x6box.